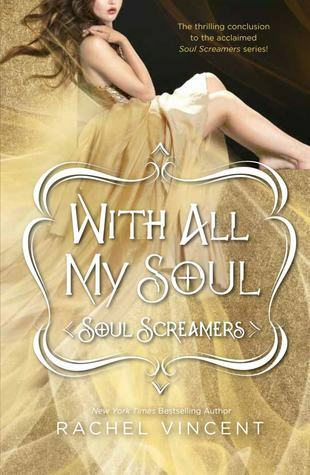 This week the book I’m dying to read is With All My Soul by Rachel Vincent! I don’t care what I’m reading or doing but when this book arrives on my doorstep I will DEAR it! I’m going to be so sad to see the end of this series and I know I will probably cry through the whole book but it will be worth it! I really need to catch up on this series! So far I've only read up to #3! I've heard all the rest are amazing though! Great pick! This cover is gorgeous! I love the gold shimmery look! I'm a HUGE fan of this series not to mention the author, so I'm pretty excited (and scared) to read this final book! Great pick! OMG this book can't come soon enough!! I love this series, and as sad as I am for it to be the end, I am excited for this too. This cover is one of my favorites of the series too. Dang! I'm majorly sucking with this series!!! I totes need to catch up...dang it! Ahh...yes!! me too!! I love anything Rachel Vincent!! I picked this one a couple of weeks ago!! Great choice!! It's been on my list since Rachel started it ;). I really need to read this series! The covers are so pretty =) Great pick! Great pick! I just began this series recently and so far I'm loving it. Definitely planning on catching up soon. Love the cover for this one too! Everyone says that this series is amazing but sadly I have yet to read it. 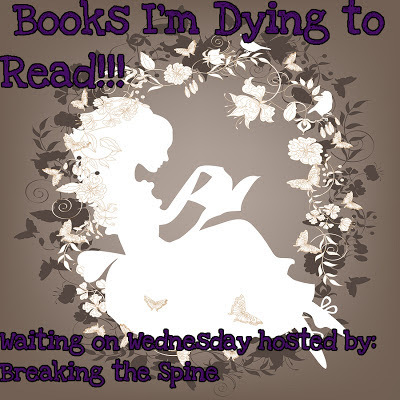 Not that I don't want to, but I don't even have time for all the books I have lol. Still, this sounds REALLY good, so maybe I'll just make time.